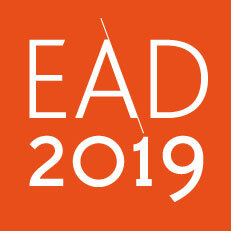 EAD2019 welcomes additional creative exhibits to complement the exciting programme of activity – be sure to take the time to view, explore and enjoy. A new interdisciplinary research initiative which seeks to establish novel applications for glass investment casting through the use of 3D printed mould patterns. 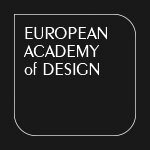 The research explores how complete design and production workflows can be established that links analogue craft skills with 3D printing and other digital technologies such as virtual reality drawing, 3D scanning and parametric modelling. An exhibition featuring posters created by both men and women to celebrate and acknowledge the vital role that all citizens play in protecting and promoting human rights while challenging gender inequality and stereotypes, advancing reproductive and sexual rights, protecting women and girls against brutality, and promoting women’s empowerment, education, and participation in society. The posters argue for the empowerment of women, achievement of equality between women and men, and the elimination of discrimination against women and girls. Local innovator, and the world’s leading waxed cotton fabric manufacturer and supplier, Halley Stevensons and Claremont Office Furniture, who have been designing, planning and building quality office furniture for businesses throughout Scotland for 35 years, will also have a range of products on display.